We’ve talked about popular promotional items for authors and publishers to use promoting books in the past, but with Book Expo America, ALA, and other publishing industry events coming up soon, we figured it was time to dive in again to this topic. Plus, Sara (Jag’s Director of Sales and Marketing) loves talking about books. She runs a book blog, after all. Let’s start with a few examples of our favorite goodies we’ve created for authors and publishers recently. Then next week, we’ll spotlight some of our favorite product ideas that we think would be AWESOME to use promoting books. 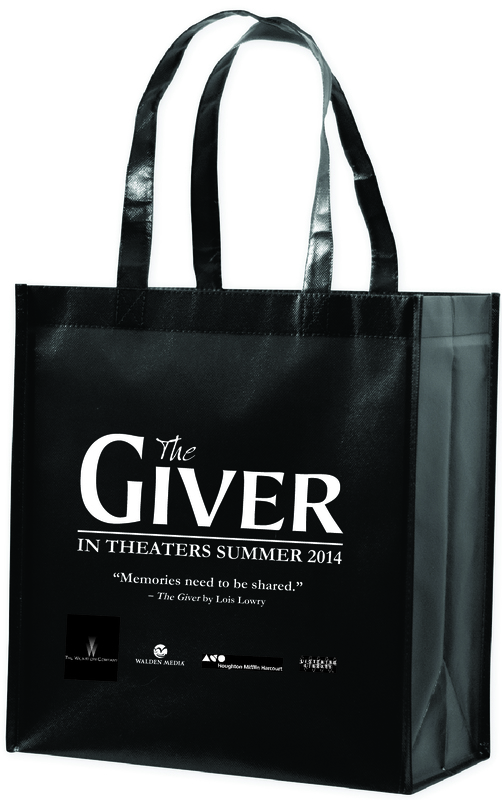 Walden Media, Houghton Mifflin Harcourt, The Weinstein Company & Listening Library teamed up in early 2014 to start promoting this summer’s movie adaptation of The Giver by Lois Lowry. They wanted a tote bag they could hand out to attendees at various library & education-related events (like ALA Midwinter and TLA) that would promote the film. The companies specifically wanted a good-sized bag that would be sturdy enough to hold lots of books without ripping, show off their artwork on both sides, and become a hot commodity amidst other publisher giveaways. The final books were a glossy-laminated nonwoven black fabric, with a sharp white imprint featuring The Giver logo and release date. In addition to producing the bags at a competitive price, we stored extra bags in our warehouse and shipped them out as requested to various trade show locations to make warehousing and distribution easier for our client. 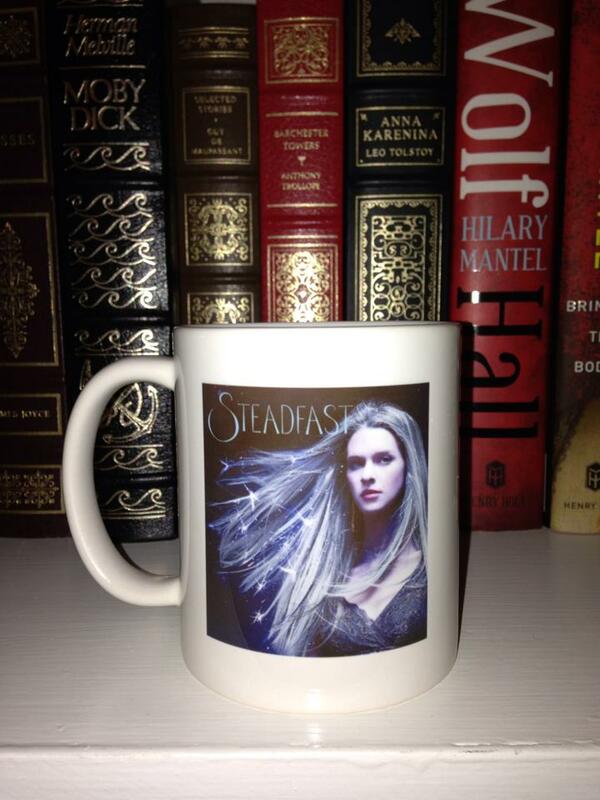 For Claudia Gray, we created some beautiful mugs featuring her latest title Steadfast, which Claudia offered readers as a prize if they showed proof of pre-order or purchase within the first week or so of her book’s release. 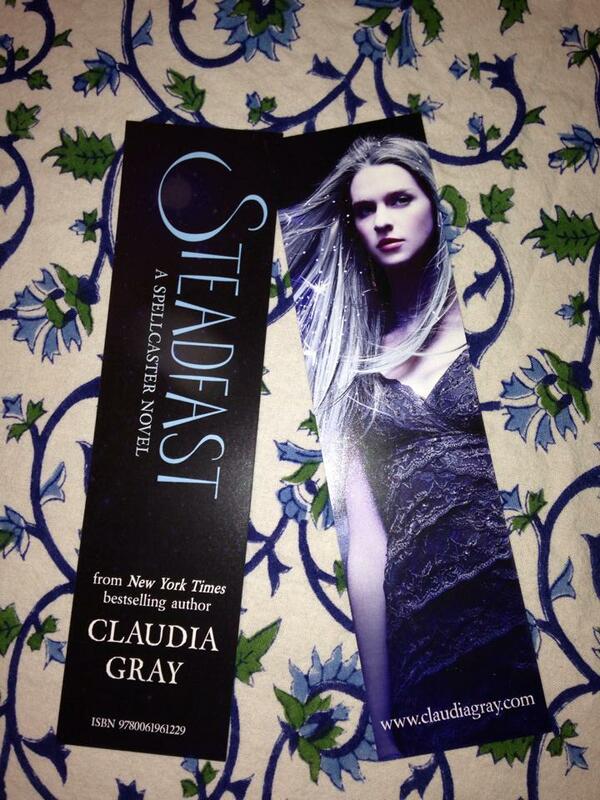 We also printed some gorgeous bookmarks for her, too! 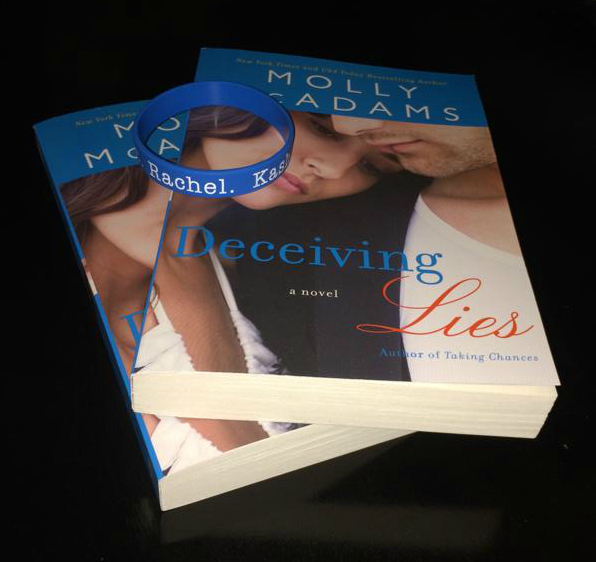 Molly McAdams is a best-selling author of New Adult fiction, and we’ve had a blast creating sets of silicone wristbands for each of her new novels. 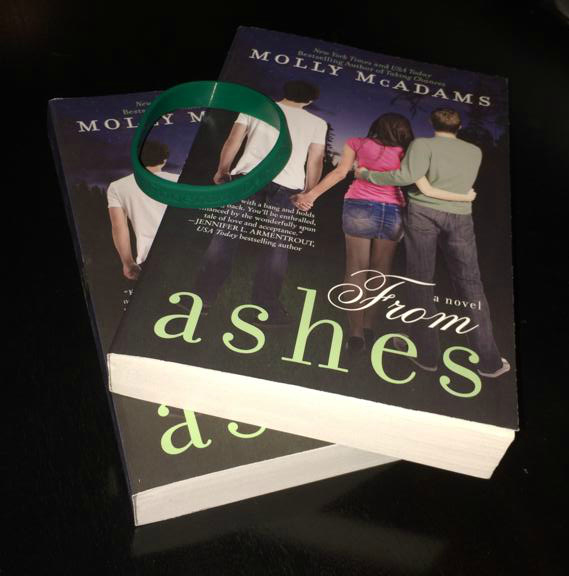 Each wristband features the book’s title, as well as key words or names from each book, and are color-coordinated to match the book cover. 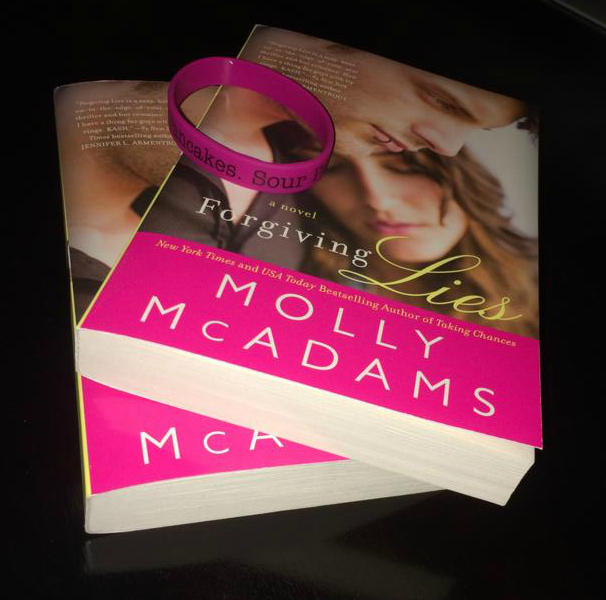 Fans can collect each wristband by making sure they attend all of Molly’s events. Jillian Dodd always has clever ideas. 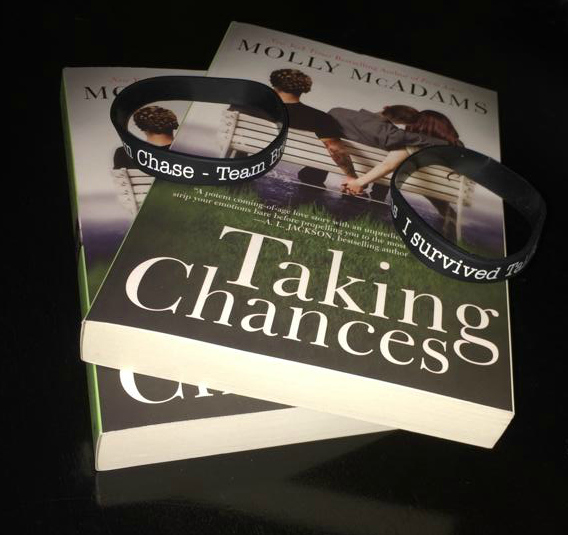 We’ve created custom chocolates and lipgloss key chains for her That Boy book series, silicone wristbands for her Keatyn Chronicles, and printed oversized postcards featuring her book covers that she can sign for fans who purchased her books exclusively in e-book format. Most recently, we teamed up with Jill to create a series of trading cards featuring different characters from The Keatyn Chronicles. Fans can collect each card by attending all of Jill’s upcoming events — she’ll have a different trading card available at each event! Her website lists each event, and lets fans know ahead of time which card they can find at each one. 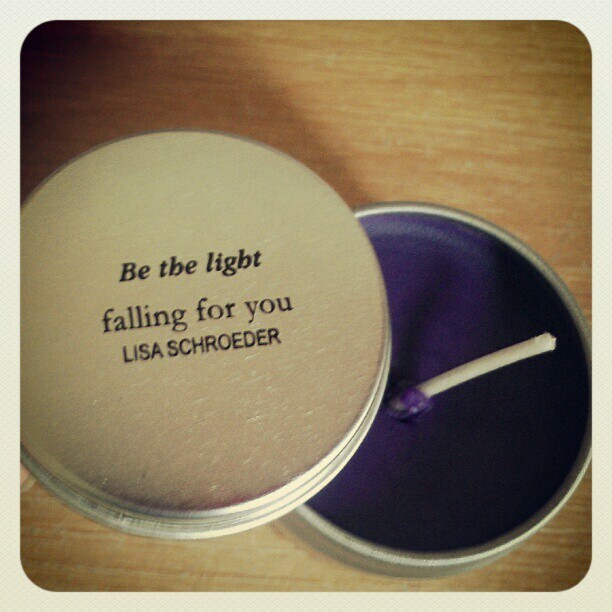 When Lisa Schroeder‘s YA novel Falling For You was released, we teamed up with her to produce these adorable tealight candles in tins. Light was an important part of the story, and the tiny candles were a perfect tie-in product — and also super cute, and different from what most authors give away to promote their books. 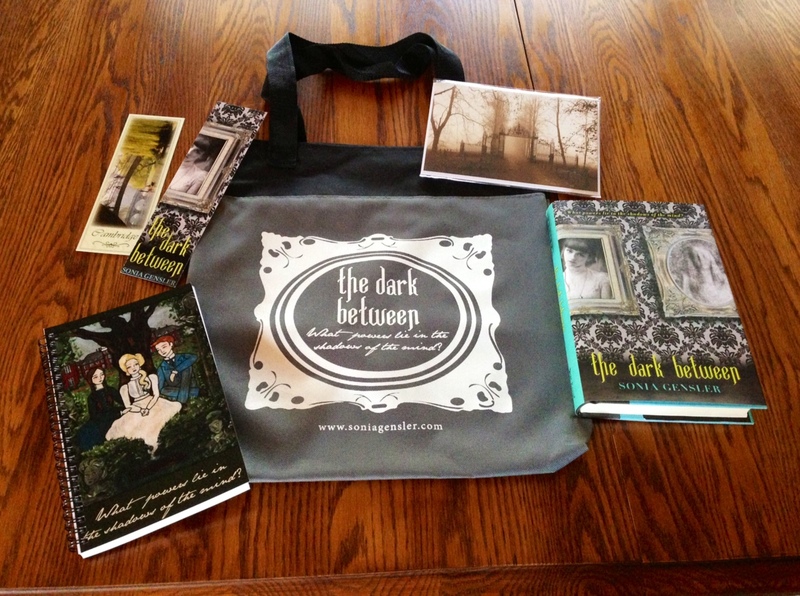 We spent the summer of 2013 working on multiple levels with author Sonia Gensler to promote her new paranormal/historical novel, The Dark Between. We started out by printing postcards and bookmarks she could hand out at events. Then we worked with Sonia to design, print and mail approximately 1,000 postcards to various librarians and booksellers in her area. We even handled the mailing part of this project, so Sonia didn’t have to worry about addressing and stamping 1,000 postcards while about to travel out of the country. 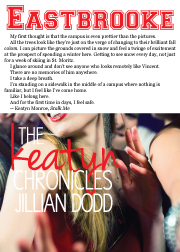 For the Comments: What are some fun book-related promotions you’ve seen? Next week, we’ll feature some more ideas for authors and publishers! When I’m not blogging here at Novel Novice, did you know for my day job, I sell printing and promotional products? This blog post is from my company website (I work with my dad!) about some of the promotional projects we’ve done for authors and publishers. I think they’re super fun, and a good reminder to all you authors & publishers out there that you’ve got a great resource right here for your bookmarks, swag, and other goodies!